Do you work for G Suite? Learning about G Suite? We can help. "G SUite. La mejor suite colaborativa que he probado." Ha tenido muchos nombres en otras ocasiones, como Google Apps o Google For Work. Ahora cambia el nombre a Google G Suite, pero conserva toda la potencia y experiencia de las anteriores. Se han convertido en una potentísima suite ofimática capaz de funcionar desde cualquier navegador ejecutado en cualquier dispositivo simplemente con conexión a Internet. Siendo del todo independiente de sistema operativo y dispositivo. Entre los productos ofrecidos en el paquete encontramos hoja de cálculo, software de presentaciones, procesador de texto y disco duro en línea como Drive, para compartir archivos, además de correo electrónico y software de comunicación tanto por texto, como por voz o por videoconferencia. Las opciones de adquirir Google G Suite son algo caras, se pagan mes a mes o por año, y por cada una de las cuentas. Pero nos ofrece a cambio capacidades ilimitadas. Otro punto negativo es que si tienes almacenados documentos sensibles, siempre te queda algo de duda de si estarán a salvo en discos duros y servidores que no controlamos directamente. Ponerlo en marcha no es muy complicado, se puede hacer sin necesidad de contratar otras empresas, aunque lleva cierto tiempo de implantación sobre todo si hay que hacer mucha migración de datos. Muy recomendable para trabajar de forma colaborativa en equipo sin necesidad real de estar todos los miembros presentes físicamente. Utilizamos G Suite para trabajar en documentos con varios autores editando simultáneamente. También como repositorio de datos empresariales, fácilmente accesibles desde cualquier navegador. Y otro uso muy importante y obvio, es como correo electrónico, que podemos configurar bajo nuestro propio dominio empresarial. "Complete office tool in the cloud"
G suite I love, I can do all kinds of office tasks in the cloud, I do not need to install any kind of software on my computer, everything is online, and connected to my personal email account, which is a great advantage since I can edit all types of documents, from any type of device with automatic connection, the files are saved automatically, so I should not worry about losing information. From this application there is little negative that can be found, for an office service is hired in the cloud and that does, but good thing that I do not like, is that you must always be connected to the internet to access the files, certain type of applications, manages a database in the devices to work offline, I do not like G Suite, sometimes I want to disconnect from the world, only to work and concentrate on a project, but I can not, because I must always be in line, to access this platform. I can have all the files that were previously stored in hard disks of the cloud computing equipment, so that they can be accessed from anywhere, and from any device that has access to the G Suite account, they are also protected, with the security of Google, that's a backup, to be able to make all kinds of databases online. "Really good but not perfect"
I really think this is a great tool. It is easy to use, and easy to understand. It gives you a lot of tools for collaboration between team. It has a complete set of apps just like the regular Google account (email, calendar, drive space, chat, etc) but all of this are collaborative. I can see all my colleges calender's, and we can share files. It is easy to use. We use a lot of collaborative files and we have to work many at the same time in the same document in the Drive, and it has some glitches. It starts to move my cursor down because someone else is typing at the top. I know it shows you immediately what other users are doing, but sometimes it makes it impossible to do your work if it keeps moving and updating. It is good, but I don't know if I would recommend it for medium to large companies. It works fine with small companies. It is a complete set of tools that is easy to use and understand because nowadays everybody has had a personal Gmail account, so the learning curve of this complete suite is zero. And has all the perks of being able to share and collaborate inside my company at a very affordable price. I love everything about G Suite. It is the PERFECT set of apps to run any business. Gmail is easy and reliable. I have never had any problems with it. Google Calendar is the best calendar app out there. You can organize your events by color and even share your calendar with the others in your G Suite, which makes it very easy to schedule meetings and conference calls with my coworkers. G Suite even has iOS apps that can be used on your iPad and iPhone, which is super convenient if you don't have an Android phone. I only have one complaint about G Suite. I do not like that it is so hard to sync your phone contacts to the Gmail app. Whenever I try to add my contacts from my phone, I have to manually add them if I want them in Gmail. G Suite really is the whole package. There is nothing else better than it for business management. G Suite helps us be way more productive than we would be without it. We can use the Gmail, Calendar, Hangouts, and Google Drive apps to manage the recruitment of new students for undergraduate studies. Gmail helps communication between us and the future students. Calendar helps us plan meetings and calls. G Drive helps us organize all of our documents for the incoming students. Hangouts helps us communicate within the department with the other counselors. Maps helps us plan out the route we take to recruiting events. Every part of the G Suite helps build our business better. "Word Cannot Describe How Great This Is!" Where do I even start? First of all, you get access to all of Google Apps as well as apps that are exclusive to G-Suite users. Google apps allow you to collaborate with team members by editing documents at the same time. Next, you are able to have your own company emails. This allows you to have customer emails for your employees such as yourname@yourcompany.org. Google is a great company and I think that they are taking very good steps for the future. Nothing at all! It is a great service that is highly recommended. The one thing is that it may not be affordable to small organizations. Google does offer free subscriptions for nonprofit organizations if you need it. You should definitely do it. Although there is a monthly cost, it is nothing compared to what you are getting. We would not be able to run our organization without G Suite. All the features drastically outweigh the costs that are involved with each user. First of all, we are able to look very professional and no longer have unprofessional emails like yourcompany@gmail.com. We are also able to collaborate in ways we didn't even know were possible. The fact that you are able to edit documents at the same time is AMAZING. There is no more hovering around one computer with everyone screaming things to get written down. Google Apps are so good and usful. "G Suite - super convenient way to manage your business"
I love how intuitive G Suite is. Everything just makes sense. From Gmail to Google Drive to Calendar, everything is just so easy to use and is so simple. It is definitely the most user friendly set of business management apps that I have ever used. "An exceptional tool for companies. Cloud storage." You can access documents from anywhere, modify them, send them, share them. The people of G Suite are responsible for creating backup copies. You can access G Suite from almost any device. Storage space available based on the payment plan. You can create text documents, spreadsheets, drawings, presentations. It is required to have an Internet connection to access G Suite. 1. All your documents are in the cloud. 2. Documents stored in the cloud do not consume memory from your computer. 3. To manage your documents you can do it from your computer or phone. Storage capacity greater in relation to cost. "Excellent package of tools to make your organization more efficient!" It is an excellent package of tools, where each one contributes a value for our management in an organization. Particularly I use email, calendar, sites, keep, hangouts meet, forms, documents, presentations, spreadsheets, chat, hangouts. What I like the most is the collaborative value of each of the tools, that is, if I want to edit a document of any kind, I can share it to promote editing in collaboration with my team. I would like to manage the storage of each user, currently each user is autonomous of their storage, but often from the point of view of administrator it is necessary to be able to access this content. 100% recommended, very easy to implement and administer. It is very useful in the organizational environment. I think the costs of creating additional email accounts and storage costs are excellent. My experience has been very beneficial with this package, our standard is use of the different tools that this solution integrates for companies, particularly you can increase each user's storage capacities, you can create according to your unlimited packages mail accounts with your Custom domain, you can make use of hangouts meet for video conferencing, among others. Within the organization where I am, the communication and collaboration of the team is promoted to contribute to a document or a process. It has allowed us countless advantages such as access to emails, integrate calendars, assign activities and tasks, share internal documents, daily meetings are held by hangouts meet. I recommend 100% to all organizations. I love everything about this app and consistently push business owners I know to switch to it. It is seamless, powerful, and intuitive. There is literally nothing better. I dislike that there isn't a central place to learn about all of the apps and programs you can link to your account. They have a tremendous amount of help material, and you can call and email the help desk for support though, so it balances out. I've only had to call the customer support team twice, and both times they resolved my issue quickly while also teaching me how to solve the issue myself moving forward, and providing resources for me to educate myself and my team as well. Definitely move to G Suite, but take the time to learn the product before implementing it. Not only will having a deeper understanding of the product and associated products save your business money, but it will also save you time and energy and make your employee and client ( if you deal with clients) experience better. I absolutely wish I had switched my team over to G Suite sooner and look forward to better implementing more google products into my everyday business practices in the near future. I don't have any specific problems, but G Suite has allowed me to streamline even more of my processes, and create a common sense and intuitive environment for my employees. Sometimes less is more. Compared to Microsoft Office 365 (or any Microsoft product for that matter), google's apps will seem a bit stripped down. But that is why they are so great! Most everything you need is right there in plain sight. No more digging through menus (and ribbons, ahhhrg) to find the Format Paragraph options... From the admin perspective, on boarding is a breeze, and routine maintenance is very straightforward. Great documentation too. I've also leveraged the identity and authentication mechanism (via SAML) for a number of other web apps used within the organization, creating a nice SSO experience for users. "Best User friendly Email service ever"
As google is growing Gsuite is growing as well with most best features. Some of the features which lack in Gsuite is if you start comparing with Office 365 otherwise this is best companion. "G Suite the right choice for my company"
In my company we use g suite from the beginning. The advantages offered by the service for us is that for being of the initial users everything was free. We manage our business emails and other services (docs, sheets) and they have always worked great. The integration of all platform services is very useful. And we use them every day. The service, as it is, has not presented major disadvantages for the team. Although if I must mention something, should be that the functions of Docs and Sheets are not so broad compared to Office. Taking into account that we use the platform in its entirety, I must say that the benefit is very large. From our emails to share and edit documents. To sya the least. "G-Suite is the ultimate productivity tool for many businesses." What makes G-Suite so powerful is the connectivity it has to the tools that are on the platform. Our team relies heavily on/uses a combination of Gmail, Sheets, Drive, Docs, Calendar and Hangouts on a daily basis. I also like that it is accessible and very intuitive on mobile devices. On days when I'm not on my desktop, I can access, edit, send, and complete documents in a manner that is user-friendly and not destructive to my productivity. In fact, as the leader that overlooks many divisions, Google Suite enables me to only focus on work some days that can be done from my phone. This allows me not to get too much into the weeds with the creative process, and to trust my team's work. My role becomes more of a leader versus a creator. Just like many web-applications that are hosted in the cloud, you need an internet connection to make it work. Google does offer offline editing of documents, but only when you download the files in advance. Also, as a MacOS user, I find it difficult to sync in a manner that's seamless. Google has some very affordable pricing-tiers that can fit any organization. The earlier you get familiar with the tools, the quicker you realize how great of a platform it is. I recommend it for anyone who wants to communicate and collaborate seamlessly with their team. Google helps us create meaningful work for our clients and our internal team by allowing all of our documents to live in one collaborative space, and for communication to be seamless between team members. This is a great benefit because it saves time and optimizes productivity. "G Suite is great for collaboration!" Allows multiple users to edit docs simultaneously. You can see where each user is editing/contributing. Also auto-save function is excellent. Never have to worry about saving the document. The ability to go back and view previous versions is also great, especially when you’re wanting to compare today’s data in a spreadsheet to last month, quarter, or year. Easy to use, can be shared and edited by anyone with link, even if they aren’t a google user. The ability to use google forms to input data automatically into a spreadsheet is excellent too. Eliminates any sort of “export” or trying to view cumbersome csv files. Google sheets doesn’t have all the same formulas or capabilities as Excel. Makes transferring workbooks difficult. The chart functions in google sheets also aren’t as intuitive. There could be improvement there. Google slides is the same way when comparing to PowerPoint. I wish there were more theme options and easier way of animating slides and information. Google docs also is limited compared to Word in formatting options. Consider it! It’s great, and can be even better if you commit to using it entirely. When you use it, Dropbox, and other solutions it can be cumbersome. We’re using GSuite to do many things. Collaborate on projects, track applicants through on osrdingr process, get data from remote employees through google forms, email, document sharing, cloud storage, track employee placement at remote locations. Nothing. Getting G Suite may work for some but if you're not a tech guru then don't bother. Maybe it's good for mails only BUT DO NOT PURCHASE YOUR URL HERE. If you purchase your URL through GSuite, they can provide absolutely NO support. Don't use it to buy a URL, rather purchase directly from the domain host (like go daddy) as they can actually support you. All G Suite can do is facilitate the purchase and nothing thereafter so you'll just get sent from one person to the next. very few - 72 hours later, I'm still trying to get my website live- have been on the phone to GoDaddy, been on the GSuite chat twice, emailed the 24/7 US based (too bad if you're based elsewhere) support from GoDaddy and my website is still not live. "High Potential, But Currently Lacking Key Features"
G Suite is great in that it offers a wide variety of office- and productivity-related solutions, all under one account. Frustratingly unhelpful support resources. For any given issue, the Google team typically offers their canned response, which very rarely addresses the actual issue. Their "solutions" are analogous to the classic "have you tried restarting your computer?" response from PC tech support services. Which is to say, they only ever suggest the most obvious fixes, all of which have already been attempted and subsequently failed prior to reaching out to Support. *This is an example of the first problem (the terrible support). The only solution that the Google team can offer is to have the G Suite account admin enable web apps. This is a fairly obvious first step, and one that most admins will have already taken before asking for support. "Google G Suite beats MS Office any day"
G Suite has enabled an effortless mobile lifestyle as well as a cost-effective business operation. The user experience for someone going all in with Chromebooks and Android phone is simply awesome. Getting in touch with Google's support is a bit cumbersome compared to a smaller company. It takes less than an hour to onboard new employees and get them their laptop with all apps working. Chromebooks are awesome and if they get stolen you can just get a new one for $300 and get going with work. I also work across many different computers and devices and have two businesses operating on G Suite so I can flip between screens as I please. "G Suite: The Most User Friendly & Professional Email Services"
I like the fact that with only 1 GSuite account you can create up to 20 aliases and do this for multiple domain names. The user interface is so simple. GSuite also offer email verification options for email sent from custom domains (DKIM, SPF). Highly secured. Great customer support. GSuite is so comprehensive and so great that it is difficult to find something that I dislike. An improvement could be to offer a longer trial period instead of just 14 days. I recommend without hesitation. GSuite is the best emailing services. GSuite is our no.1 communication tools. We basically send all of our invoices and receive all of our purchase orders though it. The benefits are equal to our revenue figure. "Google paved a once-rocky road for our nonprofit"
in the past 2 yrs I had switched our nonprofit org to FOUR different email providers listed as the top providers of small business email, and the service went from bad to worse. Finally in desperation I switched to Gsuite Exchange email and the entire org has been running smoothly ever since including emails in India. Meanwhile, Drive has solved our collaboration needs and GSuite tech support is the best I've ever seen. Team Drive - imported files lose their original date and take on the date of import. Also link sharing to non-GSuite users is not available from Team Drive. Therefore currently the entire otherwise-amazing Team Drive concept is entirely useless to us until these two items are fixed. I highly recommend Gsuite to any individual, ,business or nonprofit needing smooth low-maintenance system that integrates across multiple platforms and just plain WORKS. 1) Email - great job! 2) Collaboration - GD File Stream - great progress over others - both Onedrive and Dropbox try to force the recipient of the link to log in, which makes their link sharing option useless for us. Google figured out that people who just want to view a file we email to the them do not want to log in in order to view. Thank you! "G Suite makes working on the go easy!" G Suite make working on the go easy - you can log in to your email wherever you go as long as you have internet! All your stuff is right where you left it and take advantage of increased security through Google. 2-step verification is very nice to have, it has stopped several hacking attempts to my colleagues accounts. Google docs and Google Sheets collaboration is great! Multiple people can work on one document or spreadsheet at the same time! The chatting (Hangouts) is great too - instead of sending an email you can just chat someone and get a quick response. Google Drive also makes sharing files super easy! And if you make a big mistake on a document, you can revert back to a prior version with that tool as well. The admin panel was a bit daunting, but Google's support really helped us whenever we weren't sure what to do. Increased/faster communication, better collaboration, and being able to access everything while traveling are huge advantages. "G Suite provides an easy-to-use cloud-hosted platform for organizations of any size." The best thing about G Suite is the connectedness of all its components. Moving between documents and services is a snap, and Google Scripts provide even more possibilities for more advanced users. Since it's cloud-based, collaboration is a snap. There are a handful of (somewhat glaring) feature gaps. To name a couple of examples: Gmail doesn't have a simple, baked-in solution for sharing contact lists between users in an organization. Google Docs and Sheets don't provide a native mail merge. Both of these functions are supported by third-party apps (and if you're willing to write the code, you can do definitely the second and probably the first with a custom script) but it seems odd that Google didn't add these features in natively. You have nothing to lose here--you can try out almost all of the applications for free as an individual and then decide whether you want to implement it in your organization. The biggest benefit we've seen as a team with GSuite is the ease of collaboration and the elimination of problems with document versioning. Personally, I've begun automating more and more tasks with custom scripts through the Google Apps Script platform. The ease of connecting and finding information between documents is excellent. "Very fast access to personal files that can be used to organize your professional life!" G Suite is very fast and easy to use. The calendar is great and it really helps you remember what you need to do and when you need to do it. It will sync with your cellular device and make life even more convenient for you. Your notifications will be at your fingertips and they will keep you on-time to all of your meetings and events. One of the features I use the most is google sheets. I can keep track of my employees benefits and rewards through this system. It is very similar to microsoft excel, except in my opinion it is actually easier to use. Some of the mobile apps do not work as well as I would like them to. I prefer to use the applications on a desktop or laptop. That is how they work the best for me. When using G Suite, I recommend using all of the products together. If you do this, you will definitely get the most out of the software. G Suite is helping me stay on top of my job as a manager. I am able to keep track of details and information that I need to remember in order to do my job correctly. "Google does office automation: minimalist, focussed, effective"
The thing I like best about G Suite is all the stuff it *doesn't* do. In order to maintain lightness, ease of use and performance, it sacrifices 1,000 features that someone will find useful but which aren't strictly necessary to get business done. If I had to pick a key strength, it's collaboration: G Suite still gives the market leading experience for teams working on common documents. The spartan look and feel can sometimes make you feel like Google hates you. Also there are some frustrating limits on collaboration: if you have more than few people working on a large document (say for a commercial bid) then performance crashes. You end up having to chop documents up into smaller pieces, when impedes productivity considerably. Consider what is really key to your business, and what is simply empty activity. G Suite enables you to focus on genuine value delivery. Microsoft Office is overdeveloped, encouraging users to ensconce themselves in a world of customisation and repurposed features, masquerading as productivity. If you're moving to G Suite, be prepared for strong resistance from mavericks and luddites. Getting information recorded, organised, communicated and then binned as quickly as possible. Too many solutions to list. The key benefit is G Suite's collaboration ethos, which enables teams working across locations and time zones to act as one. "secured, reliable, easy to use and accessible everywhere." Google g suite provides collaborative tools for cloud computing and productivity. It is highly secure and reliable. It is easy to use and compatible with almost all devices. All the applications are cloud based which makes the data easily accessible everywhere. Google g suite has no built in forms for emailing your clients. Slow internet connection can limit your access to some of its features. Free package has a limited storage facility. It also has a limited recovery period for the files that you delete. Google g suite enables you to create a quite cost effective email domain for your business. Along with providing ad-free email option, it provides you a lot other handy and useful features such as google Hangouts, calendar, google+ for communication; drive for storage; docs, sheets, slides, forms and sites for collaboration; and depending on the plan an admin panel and vault for managing users and services. "G suite by Google is the best ever Email domain you have.."
G Suite can help you manage your business more effectively. It help in enhancing your workflow and improve the communication between your employees. It is one of the best app used by business to increase the productivity of the team. And not only provide email solutions but also offer Google drive storage like Google Sheets and Google Docs. G suite has a user- friendly interface which enables users to access the programs and share the information automatically with same workgroup via single login. The efficiency of G suite depends on the type of your business. You may face some difficulties converting google sheets and Docs to Microsoft Documents or PDF formats. These may be the disadvantage of using this tool. I recoomend G Suite for every start up companies for their Email Domain. Our company owns it's own email domain using this great tool G Suite. "That is my primary account for business emails"
It is the layout of Gmail, which is what I have been used to several years and with my business email I can use this familiar software instead of something new altogether. The price that you have to pay every month. I wouldn't say I dislike it all that much because of it but I wish I didnt have to pay for every email address I add. It is a must have for your business and without which you cannot use your business email with so much ease and comfort. Nothing new to learn, just gmail's layout with your customised domain address. It is the basis of my business. My email address with my domain on it. I would be without business if it weren't for GSuite. G Suite is a convenient working platform with a wide range of products available from emails to spreadsheets to organising meetings. When it comes to business organisation and project management, Google Drive comes in extremely handy. Everyone on my team can be on the same page even when we are not physically together. Google Calendar is an extremely useful tool as well, and the fact that it (along with Gmail, Docs, Spreadsheet, Forms etc) is well integrated within the G Suite domain helps to streamline communication. The recent update on assisting email writing makes work easier too. The only thing that comes to mind honestly is the inconvenience of always having to convert files uploaded into another copy of Google Docs/Google Spreadsheet version. This results in duplicates on the Google Drive. However, overall, G suite is incredibly user-friendly. For companies, it is vital to educate employees on the functions of G Suite. There is a wide variety of G Suite apps or functions available hence making good use of all those will help your company to fully utilise G Suite and to facilitate business management, project organisation and customer service. 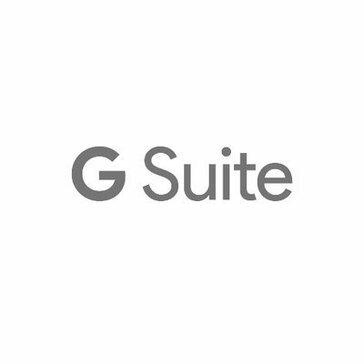 G Suite offers amazing support on how to use their functions when you first join, so it is incredibly user-friendly, easy to navigate and time-saving. The main benefit my team has realised is the ease of working together and holding online meetings with members of the company from all across UK and overseas. This helps greatly in solving our geographical problems. Google Forms have also been useful in collecting surveys from customers. Data is collected and presented in an analytical form, therefore providing my team useful insights as to how we can target products to our customers' preferences. I like the good integration amongst every app. Present on Gsuite.Every Gsuite app. Is based in the cloud,which makes it much easier to access my Gsuite on the move and also allow for easy collaboration with my peers at work. Some of the apps. On Gsuite have unhelpful limitations. As an example ,I am unable to copy folders into Team Drive,only files.Thus making it very difficult to move files contained in folders directly into my Team Drive,I am left with no option than to copy and paste these files individually,which is time consuming. Gsuite is used by different groups in my organization. It enable each group to collaborate on documents much more easily and efficiently than having to attach files to email and send from one colleague to another.Gsuite connects most of our Google apps, together,making it a smooth experience to move data from one Google app. To another. "Sheets is my favourite G suite app." G Suite adds extra layer of productivity to my work based activity. I especially love Sheets and it is my favourite app. On G suite. It enable me get basic accounting tasks done right from anywhere I am in the country. On occasions when I need to collaborate with team members, Sheets enable me get this done easily without me having to even be physically present.
. G suite apps are multi devices based and I am able to access and use them on my mobile phones ,tablet and even on my web browser. My favourite G suite app - Sheets is not as feature rich as its Microsoft variant.Therefore making me have to revert to using Excel on a few occasions when I need to attend to very complex spreadsheet tasks. G suite makes it possible for me to work from anywhere. "G suite for business "
Easiest business email I’ve setup. All I had to do was verify my domain and I could easily create an email with our domain at the end for all of my employees. The chat box only works when you’re on the screen. I wish there was a way for the chat to be open on the computer at all times, so whenever I send a message everyone receives it no matter what window is open. We are easily able to share documents and sync calendars. We are an event planning business so having access to all info on our clients is great. Whenever we are unsure about something we also have a discussion board up so anyone in the company can answer allowing the question to be answered as quick as possible. "A complete platform for daily office usage and remote working." Cloud applications allow working on the go everywhere, dedicated and intuitive mobile apps and good security options for administration. Calendars are easy and fast, intuitive to invite people and share them with your team, plus you can integrate them on other platforms easily. Google Drive (cloud storage) is perfect even with thousands of files. Administrating the whole suite from a mobile device is sometimes challenging due to the apps being very limited and the mobile web interfaces for them sometimes doesn't work properly. Some sub-organizational settings are complex to setup. If you are looking to setup a cloud-based office platform with emails, calendars, and cloud storage, GSuite is the best overall product being offered right now. Easy to setup, maintain and affordable. A centralized platform for emails with an intuitive and already user-know interface. Video calls with hangouts with calendar invites are easy to setup, and Cloud storage with good sharing options make it easy and secure. "I would tell everybody to use G Suite if they aren't already"
G Suite is quick and easy to use. It is very simple to navigate for people who may not be as comfortable with technology such as myself. I had been used to using Microsoft Office, but when I began using G Suite, I couldn't have been more happy. It is not troublesome to learn a new software, when it is so straightforward and the customer service really is great. The only thing that I was hesitant to was creating an account with google because I did not want any of my personal information to be out there. Fortunately there have not been any instances that make me regret my decision. G Suite saves you time and headaches. We use G Suite to communicate with one another and to stay on top of tasks. "G Suite is a Powerhouse"
G Suite is the best online solution for combining document creation and management and file storage. Creating documents from templates works really great. Managing access to files and folders in Drive works extremely well. Access to G Suite on mobile devices is intuitive and editing documents is easy. Drive has a feature to add documents to multiple folders. I use this all the time. The ability to have unlimited file storage, picture uploads and backup, and email archival and discovery are additional features that give me peace of mind. G Suite's Docs lacks many of the tools that Microsoft power users may need, but these tools are also missing from Microsoft's online software as well. I use the email archival and discovery often, but wish that user data could be retained even after deleting the user. Compare G Suite with both Office 365 and Zoho to see which full set of products meets the majority of your needs. Remember that working in the cloud is much different than just storing documents in the cloud. You will need a large and stable Internet connection. Creating documents from templates helps standardize documentation. Forms are easily stored in folders and can be printed when needed rather than printed before hand and then discarded when the form changes. Scripts make Sheets even more powerful. The ability to name documents and collect data automatically saves a lot of time. Gsuite is developed by Google a brand with no compromise, Below are the apps which I use everyday life. Google should provide earlier pricing module like free for 2 - 3 users and then you can pay for additional users. If you want accurate uptime and no emails should be missed you can opt for Gsuite. Gsuite has changed my business life and increase my goal. "Great for the Small Business Owner! " I like that through GSuite, I can manage my website, emails, documents, contracts, and everything else I need to keep my business functioning. Learning how to use GSuite has been a challenge. I've had to resort to asking other business owners who use the program or look up YouTube videos. If you are like me, and everything in your online life is through Google anyway, I highly recommend GSuite. It will only serve to simplify your life! GSuite has helped me keep everything together. I'm not the most organized person when it comes to web endeavors, so I've really appreciated GSuite keeping everything organized for me. The simplicity of managing accounts, institution of 2FA, and included mobile device management have made administering an email and office suite for over 90 users less time consuming than we could have imagined. The ease of instituting 2FA was welcome and has contributed to much greater security across our business. After using this suite for over 5 years there really isn't anything I dislike. There are some quirks and things I would like to see changed though. One is contact sharing. We had to purchase an app in the G Suite Marketplace to handle this. I would recommend not going with a third-party reseller and purchasing directly from Google. It is somewhat difficult to switch and third-parties tend to just add things you don't need into the suite. Document sharing has been greatly simplified across all of our users. Drive has nearly eliminated the use of our file server. "Organization with Google's business tools." I love that google offers a similar tool-set to Microsoft Office that you can take anywhere. I can create business emails with my own domain and have a Google Calendar that can be shared with my coworkers! I dislike that I have to pay per account used and not a flat fee. This makes it costly to add new users that may or may not use it. If you are looking to make your business more professional, Google offers this solution that allows you to take your business on the go. I would recommend testing G Suite with 4 people before you implement it into your system. With Google Suite we are able to appear as a professional company, having a great scheduling system, and communication system with their business tools. From Custom Domain Emails, to Calendars, to Document Sharing. "Great suite for my business"
This is a great suite of tools for my business. We utilize many of the features and is definitely worth the price. The admin portal makes it very easy to manage and connect everything. The security tools and the access is also very easy. Much better than other products that we tried such as Amazon workmail. The only thing I found difficult was the data migration to get everything migrated. If you're looking for an email/company office suite this is the product to go with. I shopped around. Additionally, you can connect many other different extensions and products to G Suite. One easy portal for all business tools. Email, document management. calendar, chat, and groups. We use the whole suite.